If you’ve been accused of having bad breath lately, instead of being offended, take heed! Chronic bad breath is an early indicator of periodontal (gum) disease, and if you take action now, you’ll be able to effectively manage and sometimes even reverse your condition. Dr. Brandon Katz and Dr. Jennifer Kraus, our in-house periodontists, are highly trained in helping patients control gum disease. Here’s what to expect from your premiere periodontists in Islip when it comes to treating periodontal disease. Periodontal disease occurs when plaque and tartar build up causes your gums to separate from your teeth, allowing bacteria below the gum line. This causes your gum tissue and bone to become infected, and if left untreated will eventually begin to destroy your bone and gums, leading to tooth loss. Gingivitis is the early stage of gum disease in which you may notice that your gums are red and swollen, or that they bleed when you brush your teeth. This is also when bad breath may start to occur. The good news is if your gum disease is detected in this stage, you may be able to control the situation with improved home care and a thorough professional cleaning. Periodontitis is the advanced stage of gum disease in which plaque and tartar has moved below the gum line and will have to be removed with a deeper cleaning known as scaling and root planing. We may also recommend antibiotic treatment or laser therapy during this stage if necessary. Unfortunately gum disease can’t be cured, however you can learn to effectively manage your condition through additional therapies and visits to your dental provider and advanced home care. Periodontal disease has been linked with many other serious health concerns such as diabetes, cardiovascular disease, high blood pressure, and stroke. We are learning more about how oral health and general health and well being are linked, and this is known as the oral systemic connection. There has never been a more important time than now to learn about your oral health and how you can maintain it for a lifetime. Doing so ensures that you also have optimum overall health. 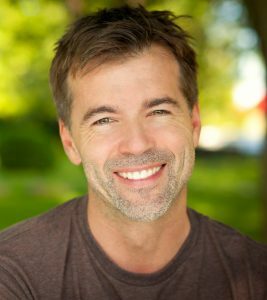 At East Islip Dental Care, our team is well equipped to help guide you through any stage of gum disease you may be dealing with. We provide a full range of dental services that will help you achieve and maintain your oral health. Contact us today to learn more about how we can help you.